Unconventional, certainly. Outspoken, to be sure. Even so, Miss Somerton’s quirks can’t curb Dominic’s growing interest in the spirited young woman. After his wife’s death, Dominic was sure he couldn’t love again. But faced with the prospect of losing Serena to another, one fact becomes clear. 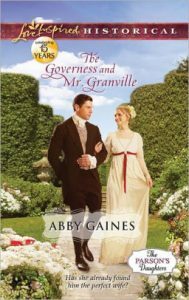 His imperfect governess could be his ideal wife. As soon as Marcus Brookstone lifts his bride’s veil, he sees he’s been tricked. He made a bargain with God—to marry a good, Christian girl if his mother recovered from illness. But Marcus intended to marry pretty Amanda, not stubborn Constance. 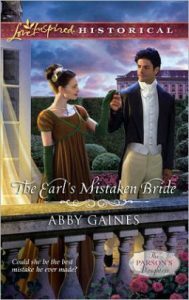 His next plan, to ignore his new wife, fails as well when Constance makes it clear that she wants a true union. Constance Somerton doesn’t dare reveal that she’s been enamored of Marcus for years. The man believes love is for weaklings. Someone needs to teach him about marriage’s blessings. Someone who sees beyond his arrogance to the tender heart beneath. Someone exactly like Constance….